With temperatures that average nearly 90 degrees with intense sun all summer long, it’s important to take excellent care of your skin. These are some tips that we hope our District West Gables residents in West Miami, Florida, will find helpful during the full-sun season. Before stepping outside into the intense summer rays, it’s important to properly coat your skin with a highly rated sunscreen or sunblock. But one of the key reasons Floridians get burned is because they miss spots. Trying to apply an appropriate SPF after you’re dressed is far more likely to lead to leaving an unprotected line here or there. Coat yourself before getting dressed and let dry. Keep in mind that your face may require two coats to achieve full protection. Many skin protectors take approximately 20 minutes to fully dry. If you decide to apply quickly and run out, your skin may not be fully protected until the cream or spray has fully sunk in and dried. Also, shifting garments can wipe away small areas and leave your skin vulnerable. It doesn’t take a great deal of exposure on a sunny West Miami day to get burned. Consider the fact that you will be applying sunscreen to your face in an effort to have healthy skin. Why not select a sunscreen that has added value? Many of today’s formulas are blended with anti-inflammatory and moisturizing ingredients such as soy, aloe, niacinamide and a variety of elements designed to help protect and soften skin. If you are going to go through all the trouble of coating your outer layer, you may as well double up. Many dermatologists advocate for intense-sun residents to supplement their skin protection protocols with a dietary supplement. Commonly referred to as a “sun pill,” these skin aids often utilize key ingredients that include Polypodium leucotomos and fern extract among others. Studies indicate that dietary supplements for the skin can increase protection and help deter the damaging effects of UV rays. These are not a replacement for appropriate sunscreens and sunblocks. 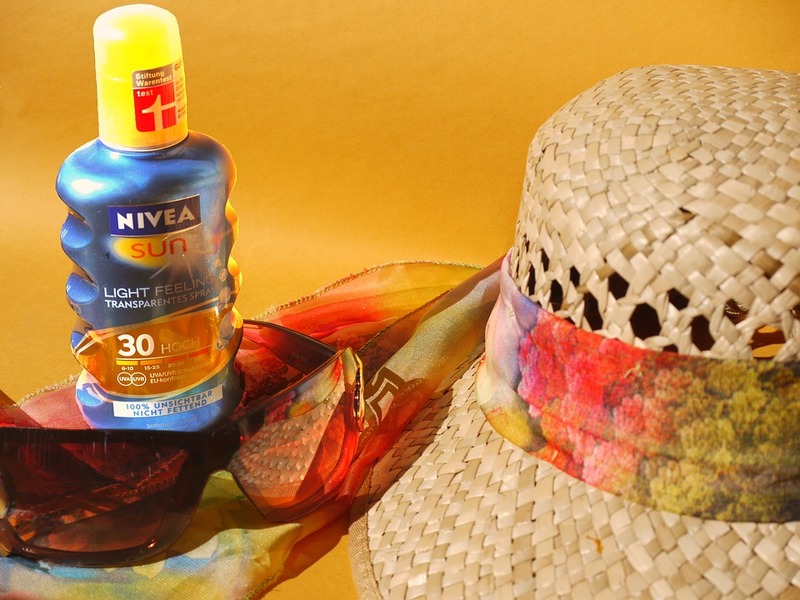 There is a common myth that makeup will protect your face against the harmful rays of the sun. Don’t bet your skin health on it. Foundation and powder are not designed to be skin protectors, and the average person would need more than a dozen applications to work as well as sunscreen. Given no one is likely to apply 12-15 layers of powder or foundation, apply sunscreen before doing your makeup. We hope our District West Gables community members find these sun protection tips helpful. If you or a friend would like more information about our West Miami apartments, call us today.